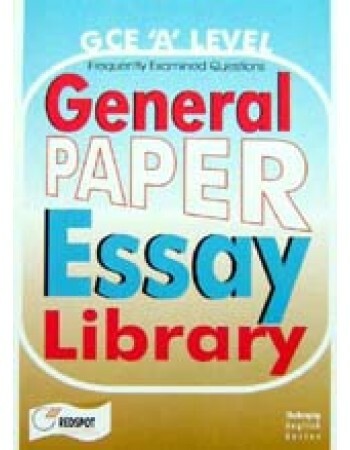 GCE A Level General Paper Essay Library. 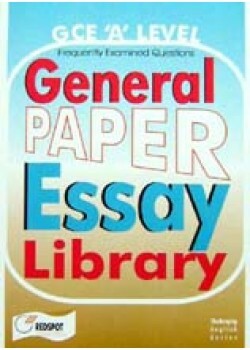 Home » A Level Exam Series » GCE A Level General Paper Essay Library. Contents More than 100 General Paper Essays based on past examinations questions. Pages 392 Pages. Size 21 x 15 cm. About this book This guidebook contains more than 100 General Paper Essays based on past examinations questions. The essays have been arranged in a topical manner for easier reference. Each essay is presented with an Approach and a Comment. Tags: GCE A Level General Paper Essay Library.